You may be familiar with The A.V. Club’s love of all things Frightened Rabbit, which dates back to 2008’s incredible The Midnight Organ Fight and extends through two more excellent albums, a pair of Undercover appearances (bel0w), and various interviews. You get it, we think they’re great. 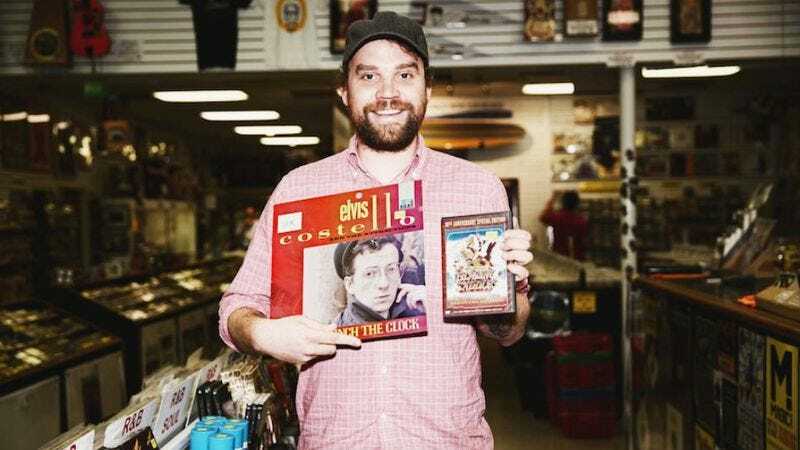 Well, F-Rabbit frontman Scott Hutchison recently launched a solo project called Owl John, and he’s doing a short tour of America. (You can definitely expect some Frightened Rabbit songs to creep into his set.) He’ll be in Chicago next Wednesday, October 15, at Bottom Lounge, with special guests Wedding Dress. We’ve got two pairs of tickets to give away to lucky locals. Just send an e-mail here, and we’ll pick the winners the day before the show. You must be 17 or older to attend, and the show starts at 9 p.m. ARV of prize: $26. And now, Mr. Hutchison’s takes on The Lemonheads and Cheap Trick.